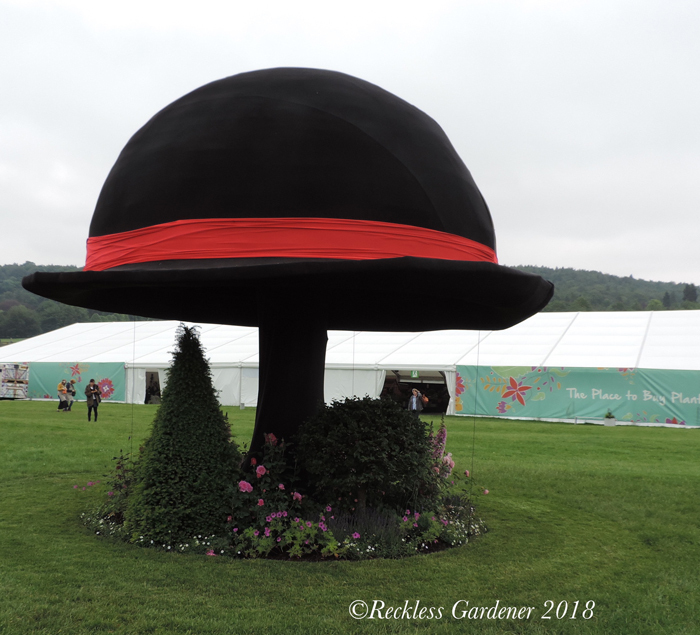 There is so much to see and enjoy at this year’s RHS Chatsworth Flower Show it was a difficult choice to pick out just a few of the ideas, installations and gardens we really liked. So here is a very broad sample of what we enjoyed, writes Sandy Felton. ‘Picture This‘ designed by Sarah Eberle with support from Lee Bestall. 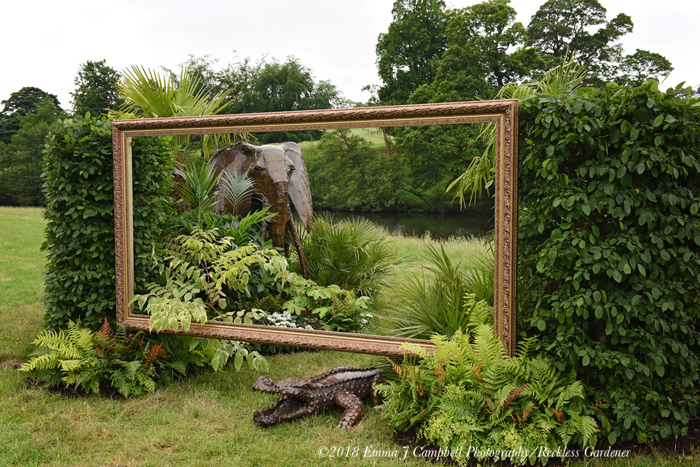 Frame surrounding tropical planting and exotic animal sculptures, surprising and certainly different. Entered in the Installation category. 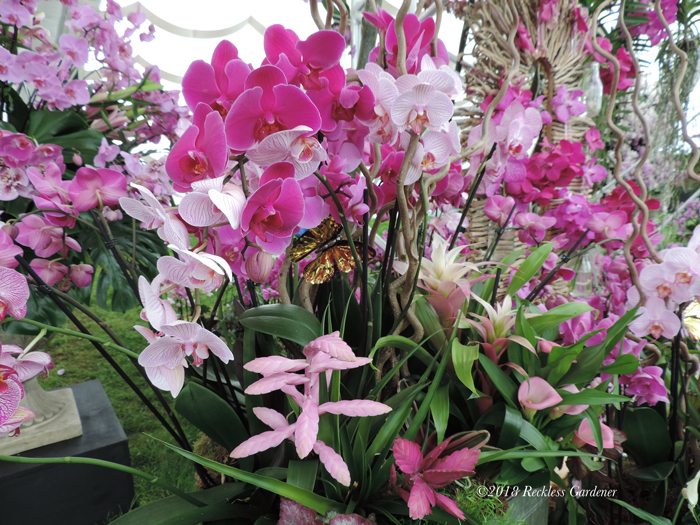 Great Conservatory orchid extravaganza – absolutely amazing and stunning – designed by Jonathan Moseley. If you haven’t grown orchids before you will after seeing this magnificent display. 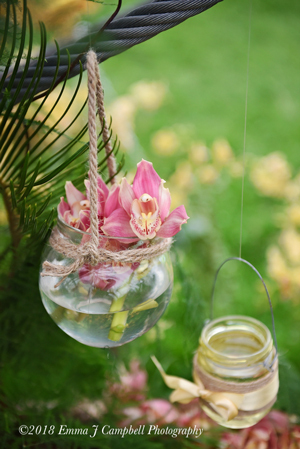 Orchids hang from branches, sit among chandeliers and grow beside a waterfall. One of the most beautiful sights I have ever seen. ‘Keeping It Under My Hat‘ designed by James Alexander-Sinclair – an installation that keeps you guessing. When the hat is down you have no conception of what is beneath and you wait…. 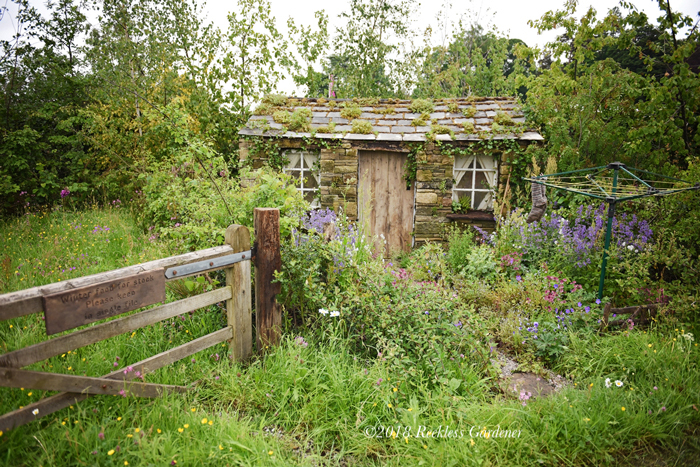 and wait… and then the hat starts to rise to reveal a perfect minature English garden with topiary, roses and perennials. Genius. 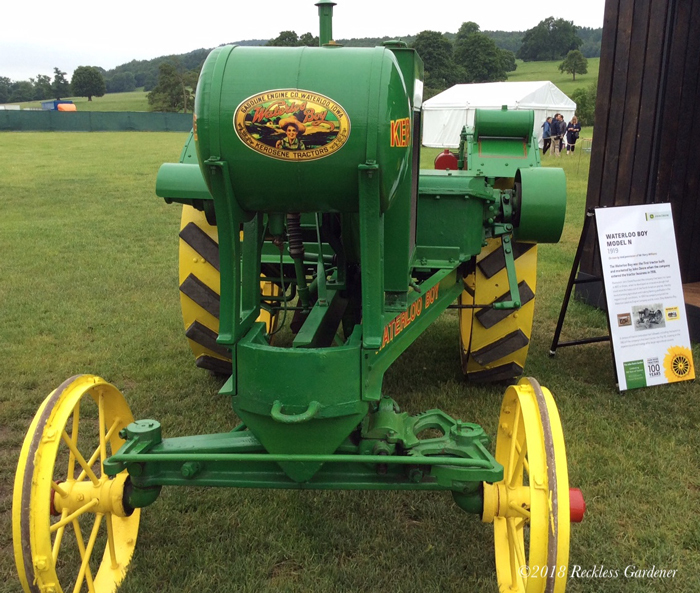 ‘The John Deere Garden: 100 years of Tractors‘ – (above) Waterloo Boy 1919 sitting alongside the more modern tractors now sold by the company. 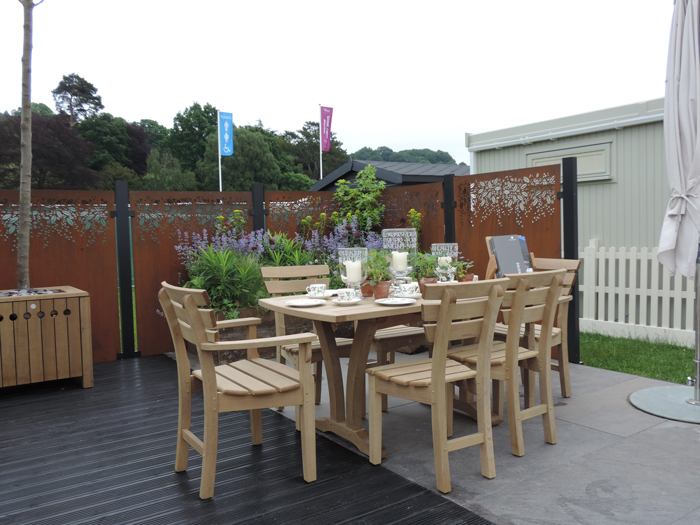 Their show garden was also tranquil perfectly referencing the countryside. Another stunning Installation, this time ‘Wedgwood: Emergence’ designed by Carl Hardman.Wedgwood and Chatsworth have a shared history dating back to the 18th century and this installation, a dry stone wall emerging from the landscape, perfectly captures that heritage. 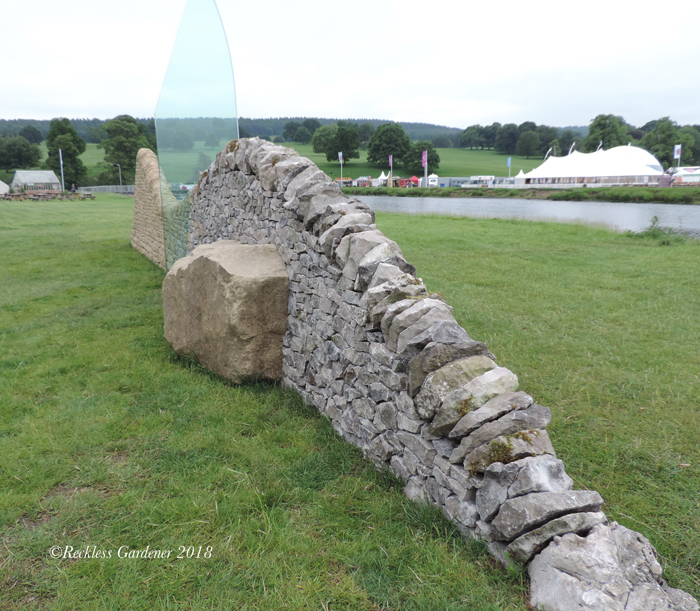 Winner of the People’s Choice for the Best Installation, Paul Hervey-Brookes evocative conceptual garden, inspired by a past landscape of the Chatsworth Estate. There was so much planting on this garden from medicinal plants and food crops to trees and shrubs reflecting the surrounding parkland you could have spent hours picking them out. Really liked this seating area as part of the Gaze Burvill stand with Stark & Greensmith screens behind. 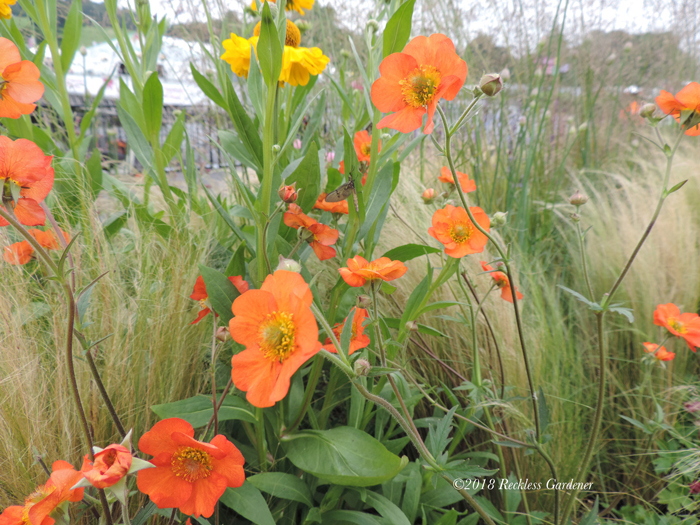 One of the best features at this year’s show I think has been the Long Border competition. Six very different designs and all on raised beds so you can really see the planting. One border commemorated 100 years since the Suffragette Movement won the right to vote for women. Spikey, upright perennials create intrigue contrasting with feminine-like forms with a colour scheme predominantely of purple, white and green – in tribute to the Suffragette movement. Another border celebrated the elusive British summer with a wash of ornamental grasses swaying in the breeze.This will be a popular category with the public and it was a pleasure to meet and talk to many of the young designers. I have come home bursting with ideas for planting, displaying and arranging flowers and plants. I have learned much from the planting ideas on the Long Border competition – how to use warm yellows and oranges to cooler blues and indigos; the use of wavy fronds, how to make a shady border just as beautiful as a sunny one and how to combine Geranium nodosum ‘Silverwood’ with Alchemilla mollis to illuminate a shady border. 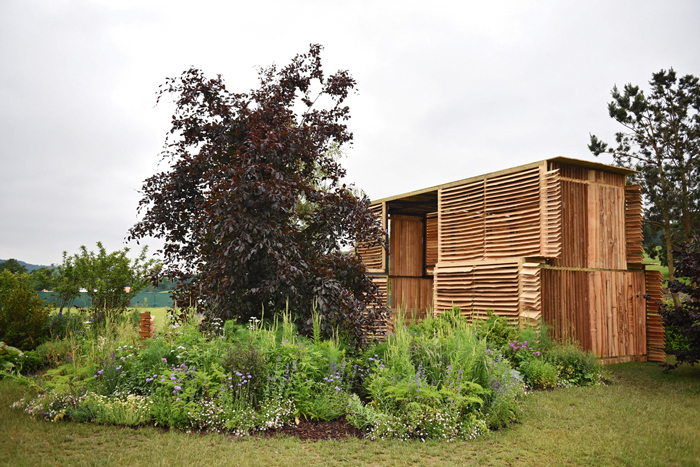 At the RHS Living Laboratory I discovered how plants, green spaces and gardening can help benefit us in ways we may not realise and across the show I discovered a host of artisan crafts from dry stone walling, wicker work and leather workshops to traditional woodland crafts and hand-carved furniture. The second RHS Chatsworth Flower Show is going to be an undoubted success and one can certainly see this show going from strength-to-strength over the coming years. We loved it.